Houseplants are everywhere - on Instagram, in the media, and in trendy homes all over the world. 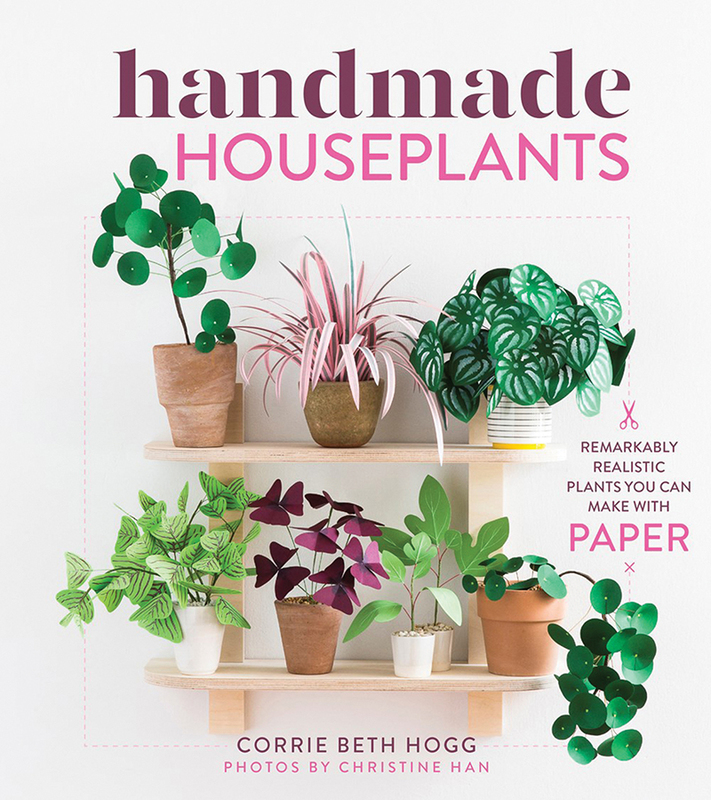 In Handmade Houseplants, expert crafter and tastemaker Corrie Beth Hogg offers a no-water necessary alternative: plants made from paper! This stylish guide includes step-by-step instructions for 30 of the most popular houseplants, from monstera and peperomia to fiddle leaf fig and philodendron. Additional projects show how to use paper plants for home décor, wall art, holiday decorations, gift giving, and more. The projects are simple enough to be made in a few hours and the required materials are affordable and readily available. Packed with colourful photographs and filled with inspiration, Handmade Houseplants shows how paper plants can provide a modern, light-hearted touch to a well-designed home.